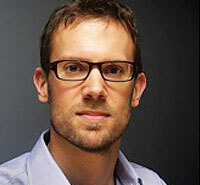 The global mobile advertising ecosystem has been enjoying strong growth of late, with ad impressions increasing by 23 per cent compared to the end of March to reach almost 105 billion requests by end-June, but it’s still at a very early stage, says Rob Jonas, VP & managing director for Europe & Middle East at mobile ad network InMobi. Several acquisitions, including Google’s $750m purchase of AdMob, appear to have validated the case for the mobile ad industry and Jonas himself is an industry veteran, having spent three years at Google as director of strategic partnerships. But the core advertising business in mobile is still around relatively straightforward text and display advertising, supplemented by a bit of search. Jonas believes that advertisers are still understanding how to make this work for them at scale in order to harness the power of the mobile device and the market won’t move on to more innovate models until this basic understanding has settled in. He picks up on the often referenced blue skies advertising techniques portrayed in the likes of the film Minority Report and calls it out as just that science fiction. At least for now. “Everything around location based targeting, timeshifting and the multi screen advertising experiencing are all really interesting discussions, but it’s still too early for advertisers to have an appetite for this. They are still learning the basics,” he says. Even the hype about in-app advertising needs some tempering. InMobi claims the second spot in terms of mobile display advertising network size behind Google, with almost 105 billion ad requests during the second quarter, up 23 per cent sequentially. Although smartphones and tablets were the driving force behind this increase, delivering 39 billion requests, in-app advertising, while growing quickly, still only represents 17 per cent of all ads. By and large, mobile web browser advertising is still the favoured medium and WAP-based web browsing is still going strong. “Browser based ads are still the global high level leader versus in-app ads. And we still see a clear distinction between the mobile web and traditional web. Publishers may not have a mobile app strategy but they may well have a mobile web strategy as the mobile web gives you freedom across more platforms,” Jonas adds. InMobi sits between two customer groups – the publishers and the developers. On one side it deals with the guys who create apps and websites and therefore inventory, which they are looking for a way to monetise. Then on other side are the advertisers and agencies and mobile inventory buying points. “It could be a one person app developer through to a large global agency spending more and more on mobile and we sit between and manage the transactions between these two groups,” Jonas adds. In August, InMobi branched out with the acquisition of ad-creation platform Sprout, giving its users a solution that enables them to create and deploy their own mobile ads, reducing the complexity of distribution. Sprout has an HTML5 rich media creative platform that follows the ‘build once and deliver everywhere’ vision on both mobile and desktop devices supporting HTML5, including Apple iOS and Google Android devices.